Home » History » In Honor of Martin Luther King Jr.
Martin Luther King Jr. Day is Monday, Jan. 21, and there are community events taking place to honor Dr. King’s legacy. Check out these special events below. Saturday, Jan. 19 | 10 a.m. – 12 p.m.
Dr. Martin Luther King, Jr., said, “Everybody can be great because everybody can serve.” Each year, Americans across the country come together to serve their neighbors and communities. To honor Dr. King’s legacy the City of Columbia Volunteer Program is offering volunteer opportunities to participate in MLK Day of Service with an environmental cleanup on January 19th. Volunteers are invited to the Rainbow Softball Complex lot in Cosmo Park at 10 a.m. to pick up supplies and receive a cleanup assignment. 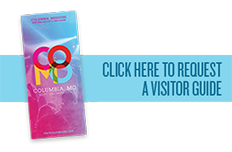 For more information, please call 573.874.6271 or email volunteer@como.gov. 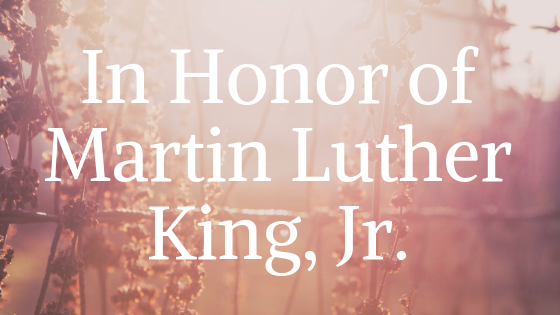 Monday, Jan. 21 | 11:00 a.m.
Martin Luther King, Jr., Memorial, 800 West Stadium Blvd. The Columbia NAACP will host its annual Dr. Martin Luther King, Jr. Program. A brief ceremony will be held at the Martin Luther King, Jr., Memorial on Stadium Blvd. followed by a motorcade from the MLK Memorial to Second Baptist Church. Motorcade will travel via Stadium Blvd. to Worley St. to Fifth St. to Broadway and end at Second Baptist Church on Broadway. Upon the motorcade’s arrival, a celebration program will begin at Second Baptist Church. A free community luncheon will be served following the program. The motorcade will depart at 11:15 a.m. (all cars participating in the motorcade are asked to be on site by 11:00 a.m.). For more information contact Mary Ratliff at maryratliff40@yahoo.com or 573.445.3231. Monday, Jan. 21 | 6:30 p.m. The candle light walk will begin at 6:30 p.m. at the Armory Sports Center, then proceed to the Memorial Celebration at St. Luke UMC, where a service will be held. Open to all, free. For more information, please contact City of Columbia Parks & Recreation at 573.874.7460. Wednesday, Jan. 23 | 7:00 – 8:30 p.m.
Bree Newsom, a contemporary civil rights icon, first garnered national attention for her daring act of peaceful disobedience in June 2015. Following the brutal murder of nine black parishioners at Mother Emmanuel Church in Charleston, South Carolina, Newsome climbed the flagpole at the South Carolina statehouse and pulled down the Confederate Battle flag as a protest against racist symbolism. Her arrest galvanized public opinion and led to the permanent removal of the flag. As a recognized and celebrated voice on the topics of injustice and racial discrimination, Bree brings to light the importance of leadership development in building and sustaining social movements. This event is free and open to the public. Tickets are required to attend the event but are free of charge and available at the Missouri Theatre. Visit mlk.missouri.edu for more information. Saturday, Jan. 26 | 7 p.m.
MO United Methodist Church, 204 S. 9th St.
Below are other community sources providing cultural programs and events. Thank you to the City of Columbia Office of Cultural Affairs for providing this information! Be sure to monitor the event statuses as the winter weather comes in this weekend.